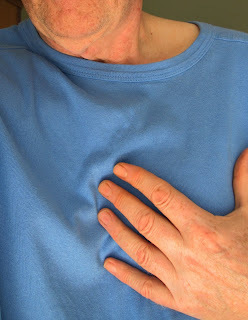 The most common cause of hospitalization in the United States and Europe is acute decompensated heart failure (ADHF). ADHF is associated with high baseline mortality rates that only increase after hospitalization. Unfortunately, there is a paucity of high quality evidence for treating this disease. Both the European Society of Cardiology and the Heart Failure Society of America offer practice guidelines that are mainly based on Class C (consensus opinion) recommendations. The complicated pathophysiology of ADHF adds difficulty to finding treatments with both short and long-term benefits. Currently, over 80% of patients hospitalized for ADHF receive IV diuretic therapy. This article reviews key existing studies to examine the evidence for using IV diuretic therapy for patients with ADHF. Fares W. Management of acute decompensated heart failure in an evidence based era: What is the evidence behind the current standard of care? Heart and Lung. 2008; 37(3):173-178. Fares reviews the current evidence that has provided the basis for the use of loop diuretics, inotropes, and vasoactive medications for the treatment of ADHF. Loop diuretics are the most common class of medications used for ADHF patients. They reduce total body fluid volume by preventing reabsorption of sodium and chloride in the ascending limb of the Loop of Henle. However, there are no randomized controlled trials (RCTs) demonstrating the safety of loop diuretics. In fact, some retrospective studies have shown increased mortality rates with diuretic use. The proposed explanation is that activation of the sympathetic nervous system (SNS) and the renin-angiotensin-aldosterone-system (RAAS) promotes vascular and ventricular remodeling. Fares paper is a meta-analysis of 14 small chronic heart failure trials that showed lower mortality rates and less worsening of heart failure associated with diuretic use. Thus increased diuretic use may be a marker of worsening heart failure as opposed to the cause of the increased mortality. Loop diuretics are most commonly administered in bolus doses for ADHF. A recent Cochrane review suggested greater diuresis and safety with continuous diuretic infusions. Finally, there is no data to support adding additional diuretics (such as hydrochlorothiazide or metolazone) to diuretic regimens for ADHF. Vasoactive medications such as nesiritide, nitroprusside, and nitroglycerin are used to decrease afterload or preload in an attempt to improve ventricular filling and cardiac output. In nine RCTs using nesiritide, a recombinant form of the human B-natriuretic peptide, only two (the VMAC and PROACTION studies) were conducted at the dose eventually approved by the FDA. [6,7] Both trials showed hemodynamic improvements, but a non-statistically significant increase in renal dysfunction and mortality was noted. There is little evidence to support the safety and efficacy of the drugs that are commonly used to manage patients with ADHF. Additional RCTs are needed to help delineate which agents demonstrate clinical benefit in this large patient population. Cleland J, et al. Practical applications of intravenous diuretic therapy in decompensated heart failure. The American Journal of Medicine. 2006 Dec; 119(12A):26-36. This review by Cleland, et al., discusses prospective RCTs on the treatment of ADHF with IV diuretic therapy and offers suggestions regarding the management of patients with diuretic resistance. In the first trial reviewed, Verma and associates compared the effects of an IV diuretic (furosemide), a venodilator (isosorbide dinitrate), an arteriolar dilator (hydralazine), and a positive inotropic agent (prenalterol) in 48 male subjects with left ventricular (LV) dysfunction after an acute myocardial infarction (MI). Both furosemide and isosorbide dinitrate lowered LV filling pressure without affecting heart rate or cardiac output. Hydralazine and prenalterol increased both heart rate and cardiac output with a lesser effect on the LV pressure. This study concluded that the drugs of choice to decrease LV pressure, in descending order, would be isosorbide dinitrate, furosemide, hydralazine, and finally prenalterol. In a second trial, Hutton and colleagues compared the effects of IV furosemide (0.5mg/kg) and isosorbide 5-mononitrite (15mg) in patients with LV dysfunction secondary to MI and found conflicting results. In contrast to the first trial, these investigators showed that furosemide induced acute vasoconstriction causing increased pulmonary capillary wedge pressure (PCWP) and systolic blood pressure (SBP). Alternatively, Isosorbide 5-mononitrite maintained cardiac output while reducing both PCWP and SBP. This concluded that Isosorbide 5-mononitrite might be more beneficial than furosemide in patients with LV dysfunction following an MI. While both of these studies were RCTs they were too small to assess morbidity or mortality. A third study by Cotter et al., looked at the effects of diuretics verse nitrates in patients with pulmonary edema and evidence of ADHF. One hundred four (104) patients were randomly assigned to receive either low dose furosemide and high dose isosorbide dinitrate or high dose furosemide and low dose isosorbide dinitrate. Results revealed a statistically significant higher rate of MI and need for mechanical ventilation in the high dose furosemide group. Additionally, there was a non-significant trend for higher mortality in this same group. As demonstrated by the review of these three trials, there is minimal and contradictory evidence supporting the use of IV diuretic therapy for the treatment of ADHF. Finally, Cleland et al., describe diuretic resistance as one possible explanation for the lack of evidence in support of IV diuretic therapy. Loop diuretics inhibit the Na+-K+-2Cl- reabsorptive pump in the thick ascending limb of the Loop of Henle. Achieving a sufficient concentration of the loop diuretic in the thick ascending limb is essential for therapeutic efficacy. Heart failure, hypotension, and renal insufficiency can all reduce the amount of blood reaching the Na+-K+-2Cl- reabsorptive pump, and therefore, inhibit diuresis. In addition, heart failure patients have increased expression of the Na+-K+-2Cl- pump blunting diuretic effects. Lastly, chronic diuretic therapy causes hypertrophy of the distal convoluted tubule, which causes increased sodium absorption despite the use of loop diuretics in ADHF. Diuretic resistance occurs when there is an inadequate response to standard doses of diuretics. This is a major issue in the management of patients with advanced heart failure. Improving cardiac output, either pharmacologically or surgically, and restoring glomerular perfusion pressure by treating renovascular disease can help increase the amount of loop diuretic reaching their site of action in the kidney. Despite very little evidence demonstrating clear benefit, as well as some potential for harm, IV loop diuretics are still considered standard treatment for ADHF. In summary, there is significant need for a well-designed RCT to establish whether IV diuretics have a place in the treatment regimen for patients with ADHF. Felker GM, et al. Diuretic strategies in patients with acute decompensated heart failure. New England Journal of Medicine. 2011 Mar;364:797-805. The Diuretic Optimization Strategies Evaluation (DOSE) study, a randomized, double blind, prospective trial investigating various doses and frequency of furosemide administration, has provided welcomed information for clinicians regarding loop diuretic therapy in patients with ADHF. Patients were eligible if they presented within 24 hours of the onset of at least one symptom or sign of ADHF. Additionally, enrollment required a previous diagnosis of heart failure and use of a loop diuretic in the month prior to admission. Exclusion criteria were: hypotension defined as SBP<90 mmHg, creatinine greater than 3 mg/dL, and those requiring intravenous vasodilators or inotropes (other than digoxin). The 308 patients were equally randomized into four groups. The four groups were based on the dose (an equivalent IV dose to their home PO dose versus an IV dose 2.5 times larger than their home PO dose) and frequency of administration (q12 hour bolus dosing verse continuous 24 hour infusion dosing). The two primary endpoints were: the patients’ global assessment of symptoms, and the mean change in patient’s creatinine levels. There were a myriad of secondary endpoints including biomarker levels, dyspnea, change in body weight, and estimated fluid loss. Ultimately, there was no significant difference in either primary endpoint. And very little difference among the groups. Group differences in regards to frequency of administration, revealed that the bolus therapy patients were more likely to have their doses increased at 48 hours. This group also had slightly higher total amounts of furosemide given over 72 hours (592 vs. 480 mg). In regards to the dose of administration, the higher dose patients were more likely to be converted to oral therapy and less likely to have their doses increased after 48 hours. Interestingly, those receiving low dose therapy received more furosemide over 72 hours than the high dose counterpart (773 vs. 358 mg). As far as secondary endpoints that were discussed, high dose furosemide resulted in greater fluid loss, weight loss, and relief from dyspnea but also worsening creatinine. Bolus dose group patients had more incidences of ventricular tachycardia while continuous infusion patients had greater increases in creatinine. This paper concluded that there was neither significant benefit of bolus verses continuous infusion administration nor significant benefit of higher doses versus lower doses. Given the very high incidence of ADHF, knowing how to effectively use furosemide would be beneficial for patient care. However, this question was not clarified in this study and the most effective dose and dosing regimen are not yet known. Further research is needed in this regard. Vaduganathan M, et al. Hemoconcentration-guided diuresis in heart failure. The American Journal of Medicine. 2014 Dec;127(12),1154-1159. There are limited practice guidelines to direct inpatient diuresis for patents admitted with ADHF. Vaduganathan et al., reviewed six post hoc retrospective studies from 2010 to 2013 using hemoconcentration as a marker of fluid loss. The authors concluded that hemoconcentration was consistently associated with markers of aggressive fluid removal and was associated with improved short-term mortality and re-hospitalization rates. In the ESCAPE trial, Testani et al., retrospectively evaluated 336 patients admitted for ADHF. They found hemoconcentration was associated with improvement of 180-day mortality despite being associated with worsening renal function. They also found that those with hemoconcentration received higher doses of diuretics, lost more weight, and had greater reductions in filling pressures. Davila et al., looked retrospectively at 295 patients with ADHF and found that hemoconcentration was associated with improved mortality in univariate, but not multivariate analysis. It was also associated with markers of aggressive fluid removal and worsening renal function. Retrospective analysis of the PROTECT trial, a randomized, placebo controlled study of 1,969 patients admitted for ADHF, found that hemoconcentration independently predicted improved outcomes despite deterioration of renal function. Another retrospective study evaluated 1,684 patients in the placebo arm of the EVEREST trial. The authors found that every 5% increase in in-hospital hematocrit was associated with an 18% reduced hazard of all-cause mortality. Testani et al., performed another study of 845 patients and found that patients who were hemoconcentrated later in their hospital stay had improved survival in contrast to those patients who achieved early hemoconcentration. This later group of patients was not found to have a mortality benefit. The authors believe that early hemoconcentration does not accurately reflect compartmental equilibration and euvolemia. The investigators deduced that hemoconcentration status at discharge is the most important variable. Vaduganathan et al., concluded that hemoconcentration is a practical, cheap, non-invasive, and available tool to direct diuresis and monitor congestion in patients admitted with ADHF. The authors designed an algorithm for using delta hemoglobin as a guide to increase or decrease aggression of diuresis depending on renal function. However, this tool is theoretical and has not been prospectively tested. This review had several drawbacks that warrant attention. The authors did not share how they identified the studies included in the discussion, so it is not clear what studies and data may be missing. Additionally, they did not share demographic data from the studies, so it is not clear if all patient populations would benefit from hemoconcentration. Lastly, like all retrospective analyses, there are many confounders. For example, hemoconcentration may be a marker of effective diuresis or healthier patients may hemoconcentrate more effectively and have better outcomes. While hemoconcentration is a cheap and attractive measure of fluid status, Vaduganathan et al., note that none of these retrospective studies actually evaluated the utility of hemoconcentration to guide clinical decision-making. Thus, prospective, RCTs looking at hemoconcentration-directed care versus usual care are needed to truly draw conclusions about using this measure to guide therapy. Even with this review, the optimum treatment for patients with ADHF remains unknown. There is not good evidence to show that loop diuretics, inotropes, or vasoactive medications improve outcomes. Regardless, most current national guidelines for ADHF management recommend loop diuretics and so the majority of ADHF patients will receive a loop diuretic as part of their treatment. In is also important to remember there is risk of harm with loop diuretics, mainly renal toxicity. When using diuretics, there is no clear benefit of bolus versus continuous infusion administration nor significant benefit of higher doses verses lower doses. One new area of interest for research is using other objective data, such as hemoconcentration, to aid in identifying effective treatments. Overall, high quality prospective research is needed to determine the best treatments for ADHF in an effort to decrease hospitalizations, prevent re-hospitalizations, and decrease mortality. 1. Fares W. Management of acute decompensated heart failure in an evidence based era: What is the evidence behind the current standard of care? Heart and Lung. 2008;37(3):173-178. 2. Cleland J, et al. Practical applications of intravenous diuretic therapy in decompensated heart failure. The American Journal of Medicine. 2006 Dec; 119(12A):26-36. 3. Faris R, Flather MD, Purcell H, Poole-Wilson PA, Coats AJS.Diuretics for heart failure. The Cochrane Database of Systemic Reviews. 2006(1). Art. No. : CD003838. DOI:10.1002/14651858.CD003838.pub2. 4. Abraham WT, Adams KF, Fonarow GC, et al. ADHERE Scientific Advisory Committee and Investigators; ADHERE Study Group. In-hospital mortality in patients with acute decompensated heart failure requiring intravenous vasoactive medications: An analysis from the Acute Decompensated Heart Failure National Registry (ADHERE). J Am Coll Cardiol. 2005;46:57-64. 5. Fonarow GC, Yancy CW, Heywood JT, for the ADHERE Scientific Advisory Committee, Study group, and Investigators. Adherence to heart failure quality-of-care indicators in U.S. hospitals: Analysis of the ADHERE registry. Arch Intern Med. 2005;165:1469-77. 6. Publication Committee for the VMAC Investigators (Vasodilation in the Management of Acute CHF). Intravenous nesiritide vs nitroglycerin for treatment of decompensated congestive heart failure: a randomized controlled trial. JAMA. 2002;287:1531-40. 7. Peacock WF, Emerman CL, Silver MA, on behalf of the PROACTION Study Group. Am J Emerg Med. 2005;23:327-31. 8. Verma SP, Silke B, Hussain M, et al. First-line treatment of left ventricular failure complicating acute myocardial infarction: A randomised evaluation of immediate effects of diuretic, venodilator, arteriodilator, and positive inotropic drugs on left ventricular function. J Cardiovasc Pharmacol. 1987;10:38-46. 9. Hutton I, McGhie AI, Martin W, Tweddel AC. A comparison of intravenous elantan and frusemide in patients with chronic cardiac failure. Cardiology. 1987;74(suppl 1):65-68. 10. Cotter G, Metzkor E, Kaluski E, et al. Randomised trial of high-dose isosorbide dinitrate plus low-dose furosemide versus high-dose furosemide plus low-dose isosorbide dinitrate in severe pulmonary edema. Lancet. 1998;351:389-393. 11. Testani JM, Chen J, McCauley BD, et al. Potential effects of aggressive decongestion during the treatment of decompensated heart failure on renal function and survival. Circulation. 2010;122:265-272. 12. Davila C, Reyentovich A, Katz SD. Clinical correlates of hemoconcentration during hospitalization for acute decompensated heart failure. J Card Fail. 2011;17:1018-1022. 13. Van der Meer P, Postmus D, Ponikowski P, et al. The predictive value of short-term changes in hemoglobin concentration in patients presenting with acute decompensated heart failure. J Am Coll Cardiol. 2013;61:1973-1981. 14. Greene SJ, Gheorghiade M, Vaduganathan M, et al. Haemoconcentration, renal function, and post-discharge outcomes among patients hospitalized for heart failure with reduced ejection fraction: Insights from the EVEREST trial. Eur J Heart Fail. 2013;15:1401-1411. 15. Testani JM, Brisco MA, Chen J, et al. Timing of hemoconcentration during treatment of acute decompensated heart failure and subsequent survival: importance of sustained decongestion. J Am Coll Cardiol. 2013;62:516-524.